Bernard B. Kamoroff is a C.P.A. with 30 years of experience specializing in small business. A University of California lecturer, he is the author of five books on business and taxes. He lives in Willits, California. Are you paying more taxes than you have to? 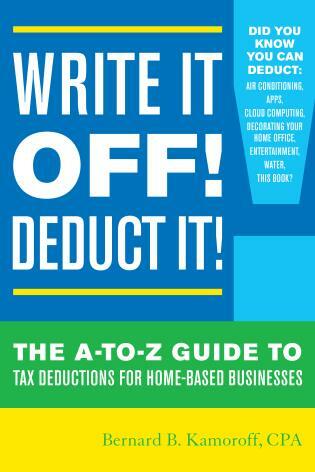 The IRS is certainly not going to tell you about a deduction you failed to take, and your accountant is not likely to take the time to ask you about every deduction you’re entitled to. As former IRS Commissioner Mark Everson admitted, “If you don’t claim it, you don’t get it. 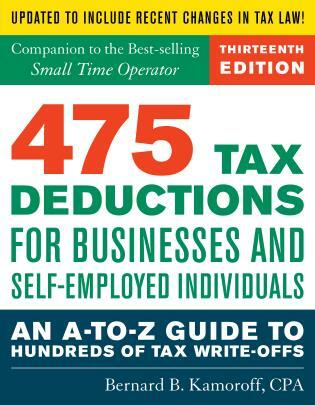 That’s money down the drain for millions of Americans.” This invaluable book, updated to reflect changes in tax law, not only lists the individual items that are deductible—from Internet domain name costs to theft losses—but also explains where to list them on your income tax form. 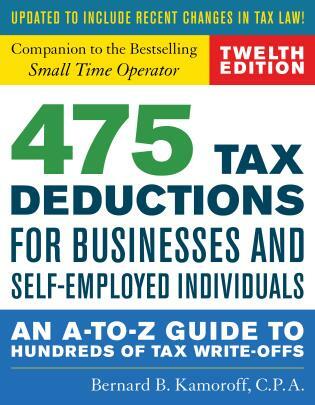 “Tax law isn’t easy,” the author explains, “but this book is.” The twelfth edition will be completely updated to include new changes in tax law, a chapter on home-based businesses, and include a special “jump out” highlights in the A-to-Z listings for any deduction that has special rules for home-based businesses.